Born in Lisbon, Manuel Beja Santos started playing the piano at the age of 6, in Brussels, where he is now based. He studied at Trinity Laban Conservatoire of Music and Dance, in London, under the tutelage of Mikhail Kazakevich, and at the Royal Conservatory of Brussels, with Aleksandar Madžar. Whilst at Trinity Laban, Manuel was the winner of the John Longmire prize, dedicated to Beethoven,and of the Leonard Smith Duo prize. He was also nominated to represent Trinity Laban at the Annual Sheepdrove Piano Competition and at the Beethoven Piano Society of Europe. Other awards include successive scholarships granted by the conservatoire and the 3rd Prize at the Fundão International Competition. In past years, Manuel has attended numerous masterclasses and has received tuition from internationally renowned pianists including Boris Berman, Paul Badura-Skoda, Josep Colóm, Angela Hewitt, Natalia Troul, Idil Birret, Pedro Burmester and Pascal Rogé. Manuel is an artist-in-residence at the Bell’Arte Foundation, where he is mentored by its artistic director Nelson Delle-Vigne. Recent solo engagements have taken him across the UK, Europe and the United States of America. As a concerto soloist, he has played with the Athens Sinfonietta, under the baton of maestro Giorgis Aravidis and with several Trinity Laban ensembles. 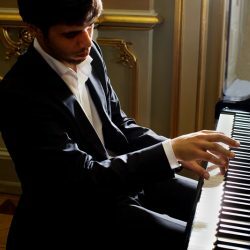 As a dedicated teacher, Manuel is in much demand and teaches piano at the British School of Brussels. Il commence le piano à l’âge de neuf ans. 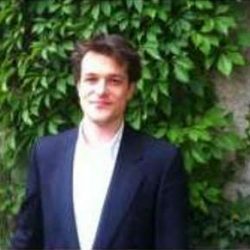 Très vite il rentre dans le cycle préparatoire à l’université de musique de Vienne dans la classe de J. Jiracek, puis poursuit ses études à Colmar sous R. Shereshevskaya et y obtient son prix à l’unanimité et avec les félicitations du jury. À l’école normale A. Cortot à Paris il reçoit le 6ème diplôme supérieur d’éxécution sous N. Delle Vigne. Il a également suivi des stages avec A. Jenner, A. Quéffelec, N. Grubert. Il se produit en tant que soliste et en musique de chambre en Autriche, Allemagne, France, et récemment en Floride sous Ph. Entremont.